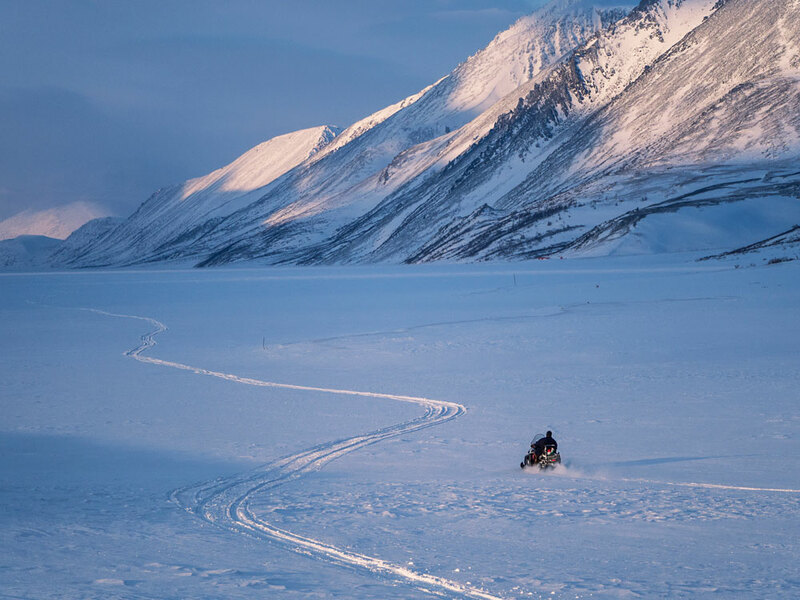 14-day trip on snowmobiles to the very depth of the Arctic on the route Salekhard - Pym-Va-Shor - Vorkuta - Polar Urals - Gornokhadatinsky reserve - Salekhard. Our trip will take place at once on three subjects of the Russian Federation - the Yamalo-Nenets Autonomous District, the Republic of Komi and the Nenets Autonomous District. 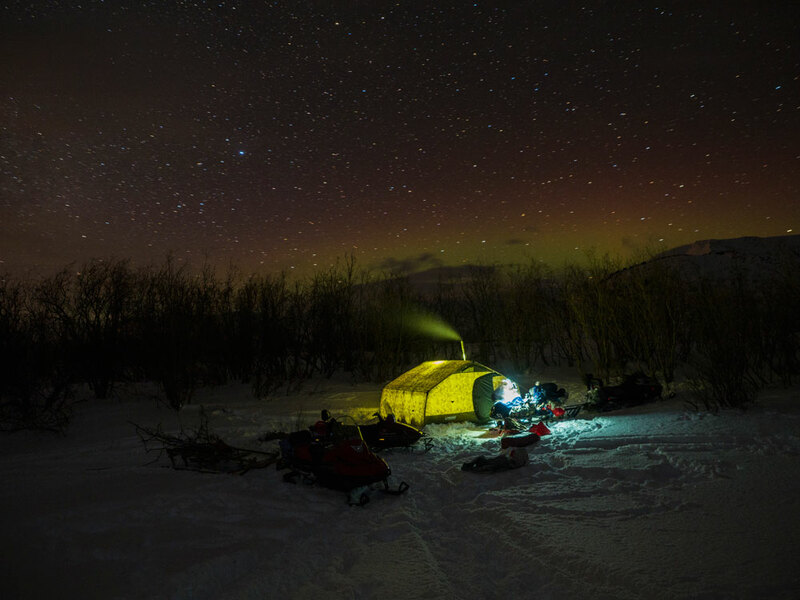 We cross the Polar Urals, live in tents in the middle of the arctic tundra, and also in the Nenets plague, get acquainted with the life and life of this small northern people, try raw venison and fish, bathe in the only arctic hot source Pym-Va Shor - have you ever were there similar adventures? If not, now there is a chance to experience the feelings that will remain with you for life! This is not a photo tour in the literal sense of the word, but it is recommended for landscape and travel photographers - powerful polar lights at this time and in this place is almost guaranteed! In February, the light day is long enough, and the low sun creates fantastic light compositions and a game of light and shadow. In the tundra and in the mountains a large number of Arctic Foxes, hares, partridges, polar owls. It's not easy to shoot them-they do not let you close to you, but if you have long-focus lenses, you can get very effective pictures of these wild animals. While the tour is not cheap, similar tours in any other places, cost one and a half to two times more - just compare the options offered! Arrival to Salekhard. Transfer to the city, we stay in the hotel, get acquainted with the city, try local delicacies, buy local warm clothes and shoes (who needs it). 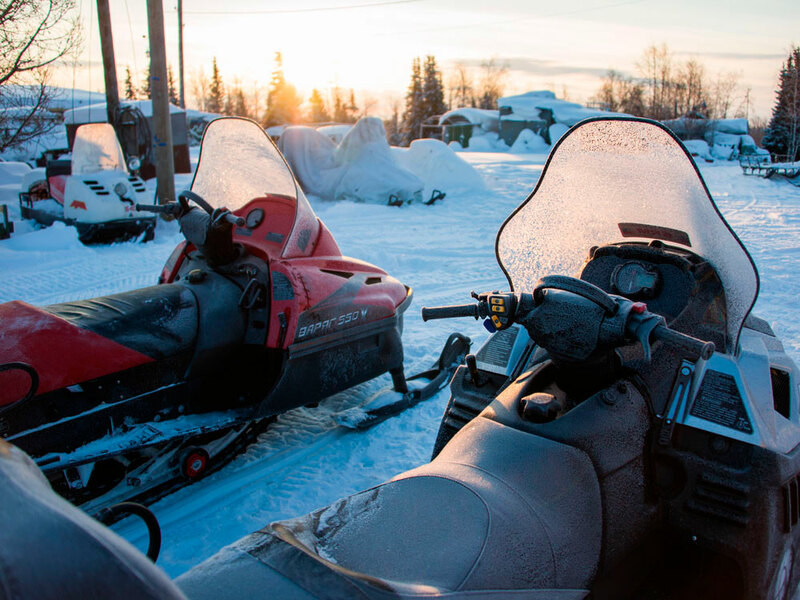 Early rise, at 8 am we are already loaded onto the SUV, on which we cross the ice crossing Ob and we go to the village of Harp, where we load our things onto snowmobiles and are already on their way. On this day we will cross the Polar Urals and reach the village of Seida on the Usa River. Part of the way, already at the dark time of the polar day, we will go along the ice of this river in parallel with the railway. We'll spend the night in a heated trailer of a local resident. In the morning we cross the railway and go deep into the arctic tundra. There is no civilization here, only traces of the Nenets reindeer herders are found occasionally - the parking lots left by them, and rare sheds in the middle of many kilometers of tundra. 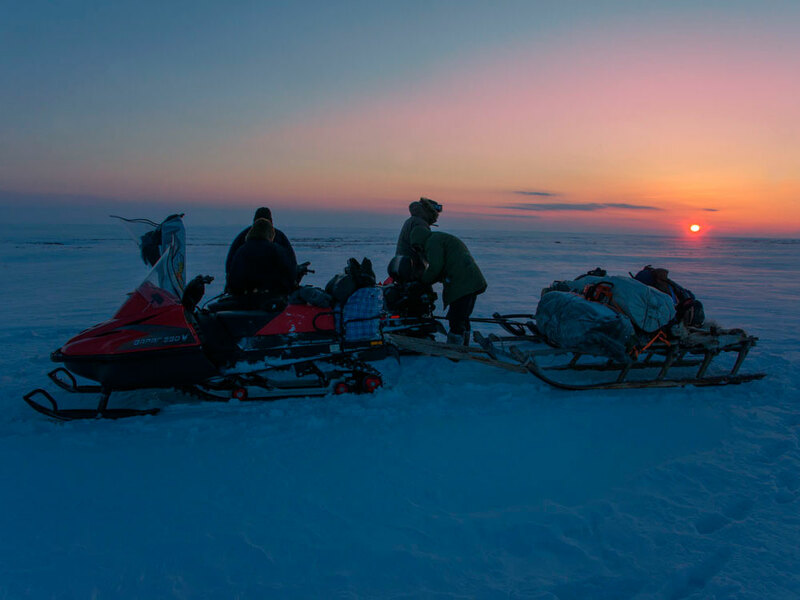 On this day, well tired and frozen, we will reach the source of Pym-Va Shor in the territory of the Nenets Autonomous District, near which we will put a large heated tent where we will spend the night. Bathe in the source and explore the neighborhood. A day of rest from a long and rather tiresome road. Again all day on the road through the arctic tundra. This time our goal will be Vorkuta - a great city and a real civilization after two days of wandering through the tundra. We stay in a comfortable hotel. The city is a pretty depressing spectacle - the pompous buildings of the Stalin empire are side by side with faceless paneled Khrushchevs, and neat facades - with dilapidated courtyards, while two-thirds of houses, including five and even nine floors, are abandoned. In the Soviet years the population of Vorkuta was 200 thousand people, today - 60 thousand. And this means that two-thirds of the inhabitants of this once-powerful industrial center left, leaving their apartments and houses, which no one can control and maintain. We will dedicate this day to exploring the city - although it is depressive, there is something to see in it :) And also we will rest, we will buy food and fuel for the next, even more difficult journey. 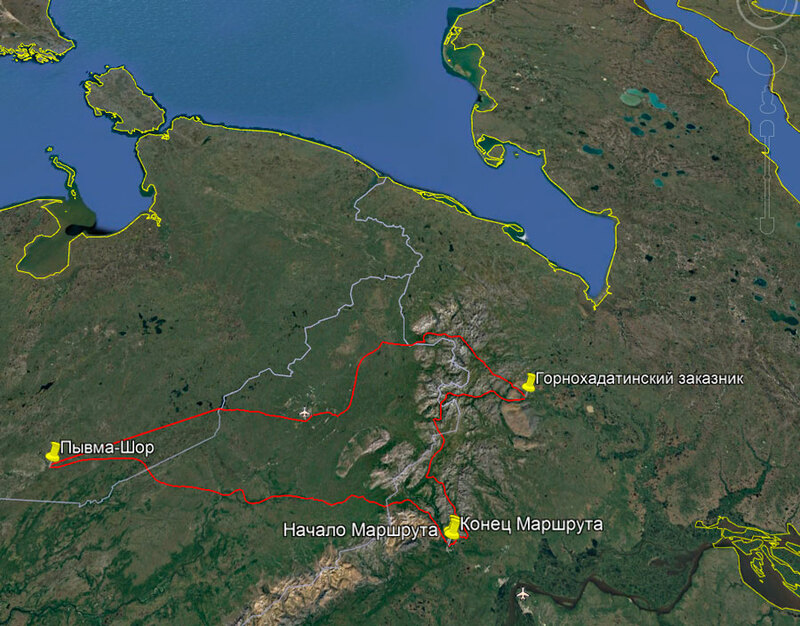 In the morning we head for the Polar Urals, where, after a rather long crossing over the tundra, and then along the foothills, we will set up our camp at the confluence of the Bolshaya and Malaya Kara rivers. The place is wild and very rarely visited by tourists, the more valuable for us is its remoteness and isolation from the outside world - the sky here is fantastically beautiful, and the air and snow are as pure as a child’s tears. 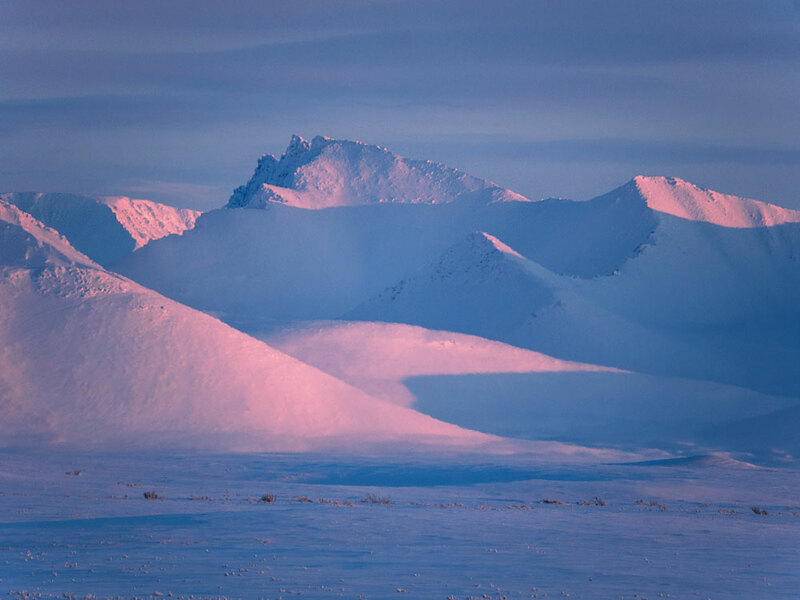 Having overcome several mountain valleys and passes, we come to the Gornokhadatinsky reserve, located in the Priuralsky district of the Yamalo-Nenets Autonomous District in the basin of the Shchuchya River and its right tributary, the Big Hadata, in the foothills of the Polar Urals. Here are found rare species of animals listed in the Red Books of Russia and the Yamal-Nenets Autonomous Okrug. Many of them we can hardly see - meeting with them in the wild is a rarity and good luck, but the musk oxen are huge, shaggy and safe for humans, we will see for sure, and not just see, we arrange with them a real photo session. Day of rest and walks in the reserve. Upon request, you can organize a horse riding excursion, as well as a steam bath. Again we go all day, but the landscape is completely different - we are traveling among the mountains and this is not the same as going on the tundra. We intersect the length of Shchuchye Lake, stretched out like a pike's body, and we camp for the night on the bank of Lake Bolshaya Khadat. Having overcome two mountain passes we come to the settlement of reindeer herders-Nenets, where we will stop for the night in the plague of our hospitable conductor. 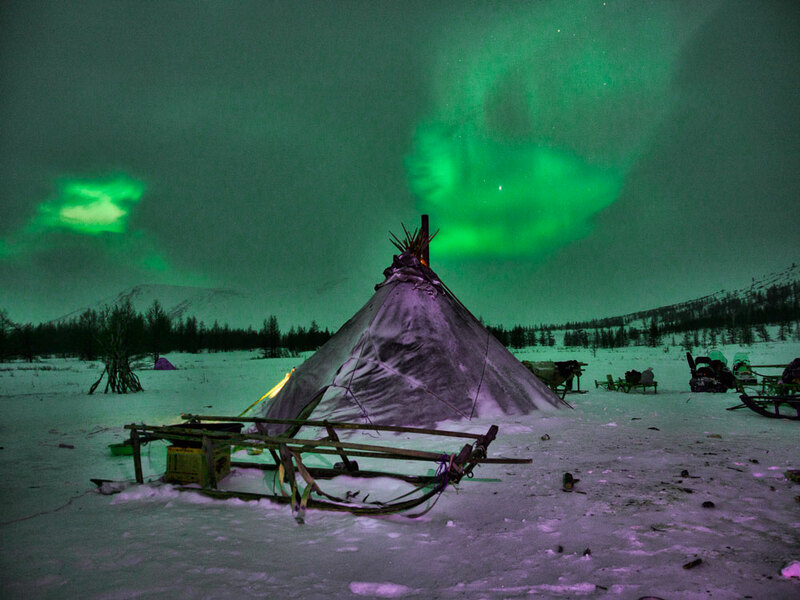 Traditional Nenets dishes and northern lights in the background of the Nenets plague. 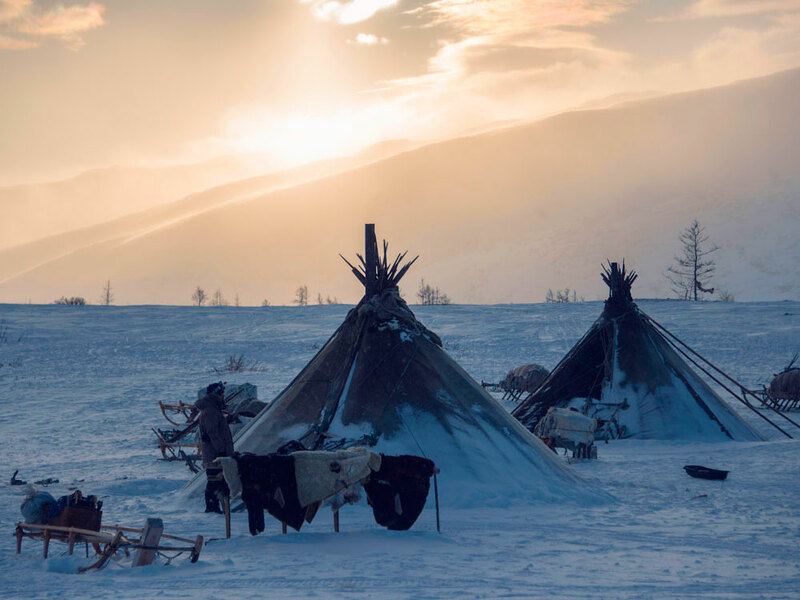 Day of rest in the camp of reindeer herders. We will go to the mountains to see and get to know more closely the reindeer - animals that are fearful and not so easily letting people in. 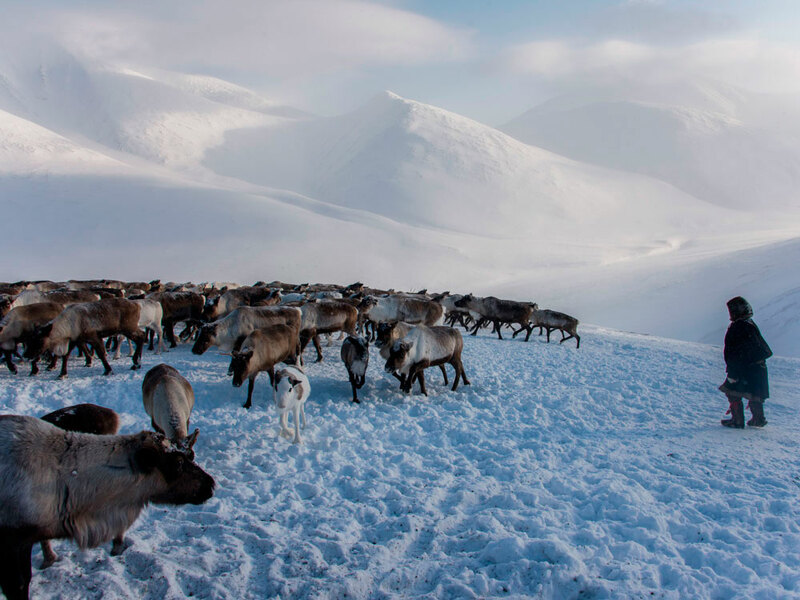 But experienced reindeer herders with the help of dogs will drive a herd to us and we will have the opportunity to treat them with bread and salt, having received in return a lot of attention and almost dog fidelity to these strange animals. If you want, you can hunt hares and ptarmigans, which will cooked the mistress of the plague in the evening. And in the evening we shoot the polar lights again. Even if it does not, the sky here is always very bright and beautiful. We leave hospitable reindeer herders and go to the village of Harp through the mountain pass. In Harp we are overloaded into an already familiar SUV and come to Salekhard. We eat off in a cafe or restaurant, in the evening, after many days of cold and wind, get warm in the bath. Well, we spend the night in a comfortable hotel. In the morning we will have time to visit an interesting museum complex, and after lunch leave to the airport and fly to Moscow, and then to home. 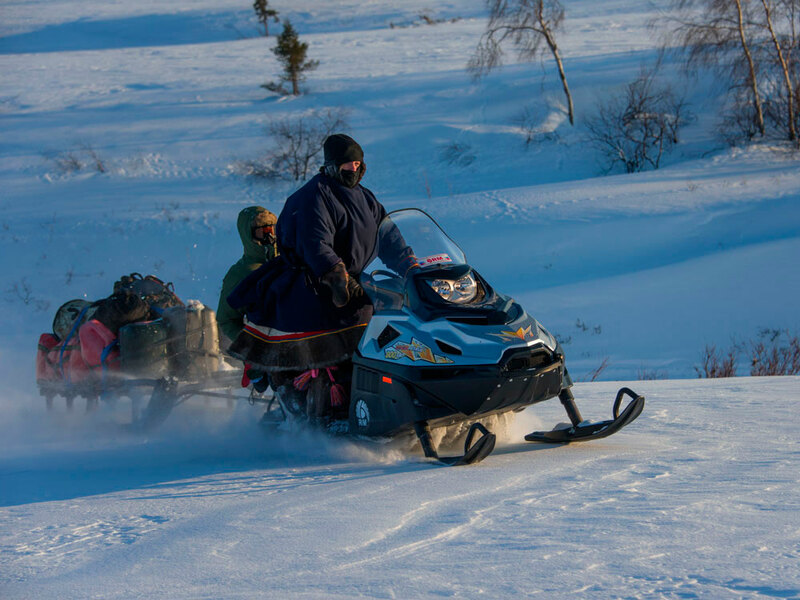 the work of a tourist instructor and a local Nenets guide. All services not specified in "Included". What is the difficulty of the trip? Will I be able to withstand these loads? What are the limitations? In terms of physical activity, the tour is not complicated and is accessible to absolutely anyone. But the conditions in which we will exist there are quite severe. This is not a question of stamina, but of clothing, equipment and your readiness for adventure, including extreme. For this tour it is necessary to take a sufficient stock of warm and inflatable outfits and shoes - a down jacket, warm (down or cotton) pants, warm boots, designed for extreme frost or boots for alpine mountaineering, a set of thermal underwear, as well as a hat, balaclava , two pairs of warm gloves, warm socks, a warm sweater, a swimsuit (! ), a towel and rubber slippers. In addition, you will definitely need a warm sleeping bag (at least -10 degrees comfort), a backpack for 65 to 90 liters, a flashlight, a thermos, a good mat. A full list will be provided to you by the instructor when concluding a tour contract. Also, the instructor will necessarily advise you that you do NOT need to take to not carry and do not carry excess weight. The village of Amderma is located in the border zone and each member of the tour will receive permission to enter this zone. This process takes about a month, so if you have a desire to go on a tour, please, state this as soon as possible, because after the New Year holidays it will be simply impossible to have time to get this permission on you! If you are interested in this tour, leave a request through the form below or call the indicated phones, I, Evgeni Androsov or my assistants will tell you in detail about the route and answer all your questions. To reserve a place, you must pay an advance payment of 30% of the cost of a hike / tour if it is more than 45 days before the start and 50% of the cost if before the start less than 45 days. The prepayment is refundable for 45 days or more before the start of the trekking tour and unfortunately, less than 45 days before the start of the tour / tour, if the refund is related to your refusal to participate (for any reason). If the hike / tour does not take place due to our fault, due to the unformed group or due to force majeure circumstances, the prepayment will be guaranteed to you in any case. If you change your mind / lost the opportunity to participate in the campaign, please, inform us about this as soon as possible, because transport and products for the whole trip are purchased, calculated and distributed for each participant of the trip.